Valentine’s Day is fast approaching and the pressure is on to come up with a unique and special date that your loved will never forget. 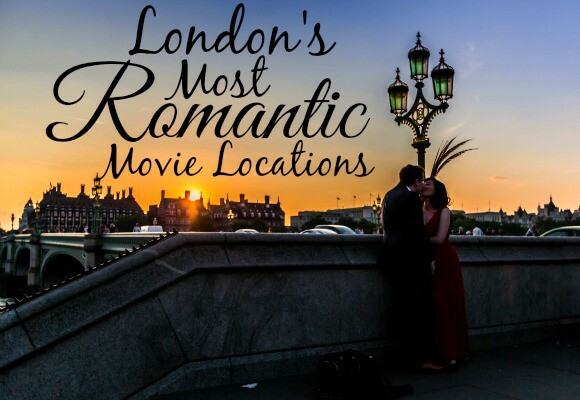 London has been the setting for countless romantic movies, so why not inject some movie magic into your life and visit some of London’s most romantic movie locations? We’ve got five super romantic London film locations (and one bonus outside London idea if you fancy escaping the city) and some great ideas of what to do when you get there, so read on for some spectacular silver-screen inspiration. This beautiful film by British rom-com legend Richard Curtis is a modern classic and shot largely in London. 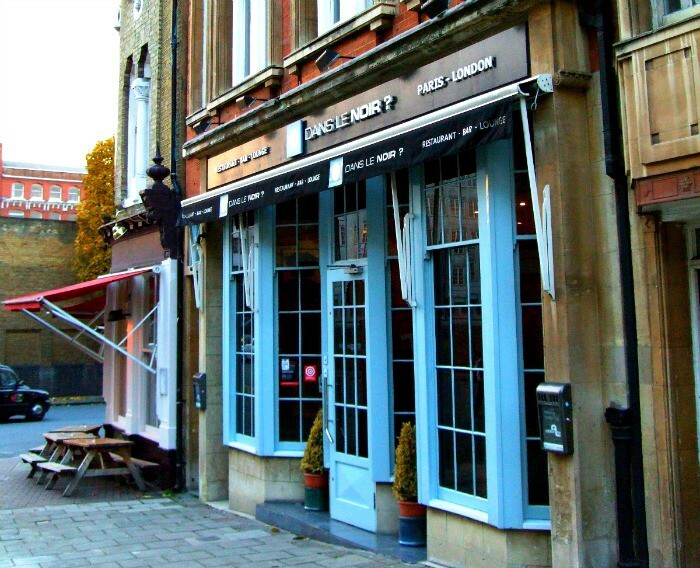 The film’s lead characters, Tim and Mary meet at real-life London restaurant Dans Le Noir. The restaurant is different to most, as it is set in complete and total darkness. Diners cannot see each other or what they are eating and all the waiting staff are blind. In About Time, Tim and Mary meet and bond, without knowing what each other look like – how romantic! Get to know your loved one all over again and re-enact this gorgeous scene from the movie by booking a Valentine’s Dinner at Dans Le Noir – you can even choose a surprise menu and rely on your sense of taste to try and work out what you’re eating! Made world-famous by the film starring Hugh Grant and Julia Roberts, Notting Hill is also the perfect place for a Valentine’s Day date. 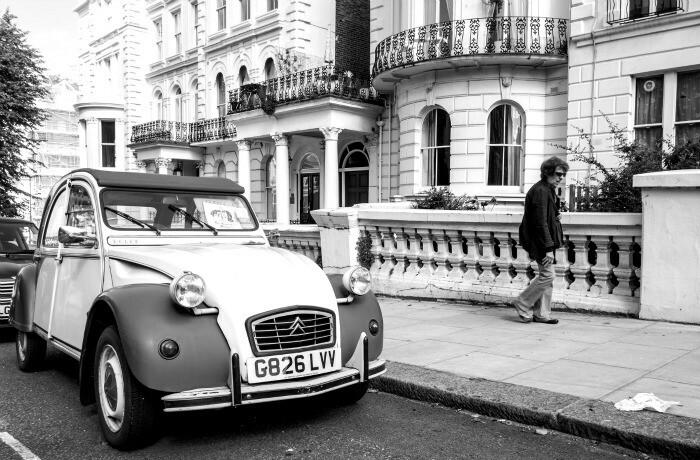 The coloured houses, quaint independent shops and countless pubs, cafes and restaurants means there is plenty to do, but we recommend a Notting Hill brunch in stylish Granger & Co or delicious Goode and Wright. This romantic drama based on the play by British writer Patrick Marber features a few London locations. 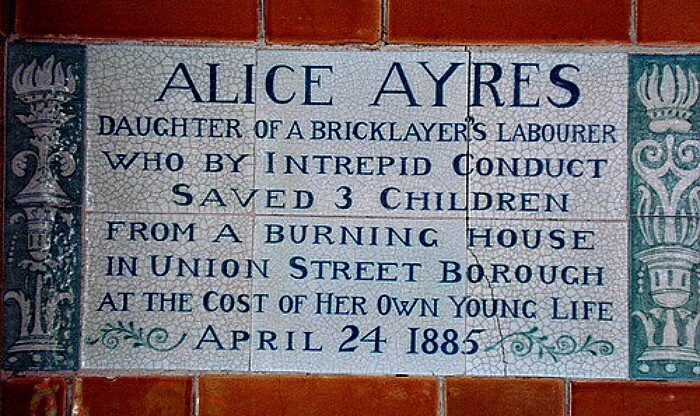 The movie features St Paul’s Cathedral and the London Aquarium, but we think the most romantic location in the film is Postman’s Park (very close to St Paul’s). Take a romantic stroll through this intimate park, reading the memorials to ordinary people who did something truly heroic. Another iconic London rom-com, Bridget Jones is the tale of the ultimate singleton meeting her Mr Darcy. 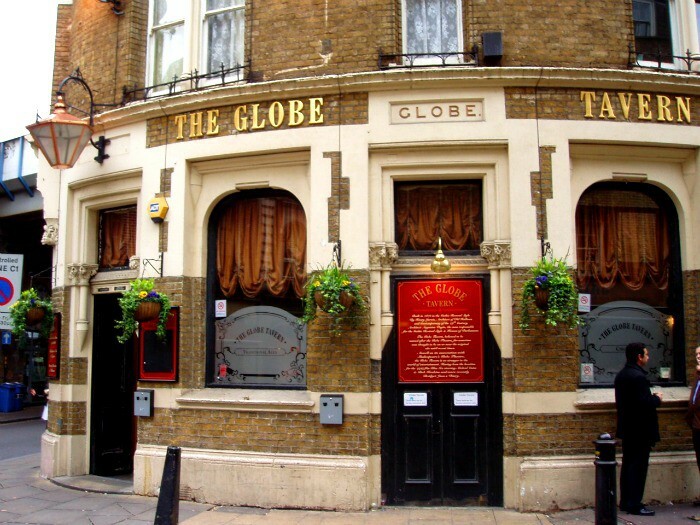 The Globe Tavern in London Bridge provides the external shots of Bridget’s London flat – the romantic spot where Mark Darcy appears at the climax of the film. Romance your loved one by taking them to this spot, perhaps for some wine and a pub lunch in The Globe Tavern itself, or to nearby Borough Market (if visiting Monday – Saturday) to experience some of the most delicious food London has to offer. If your loved one is a Potterhead, there are plenty of London locations that will satisfy their love of magic. Why not take them to Leadenhall Market? The gorgeous Victorian Market was used as a shooting location for Diagon Alley – try Chamberlain’s for a special dinner. Maybe you want to start your date where Harry began his journey to Hogwarts – on Platform 9 3/4 in Kings Cross. 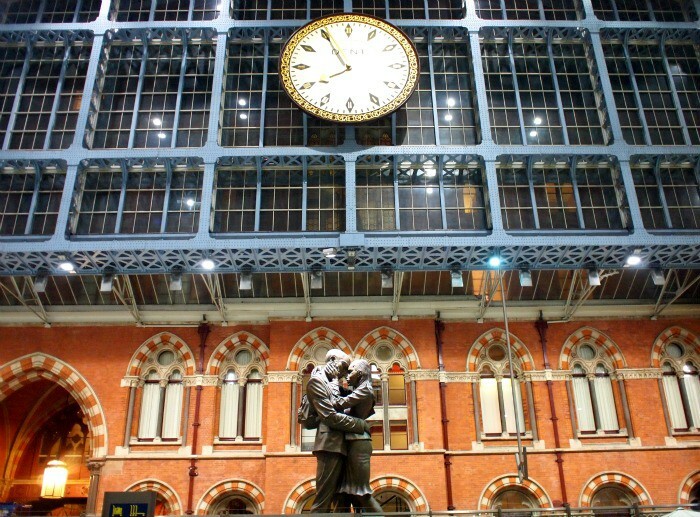 In the middle of Kings Cross stands a wonderfully romantic statue – The French Kiss. This station is also where the Eurostar to Paris leaves from – surely the ultimate Valentine’s Day date would be a day trip to Paris? For Harry Potter purists however, nothing can beat the Warner Bros. Studio Tour: The Making of Harry Potter – see the actual sets, props and costumes used to make this iconic film series – a totally unforgettable Valentine’s Day date. 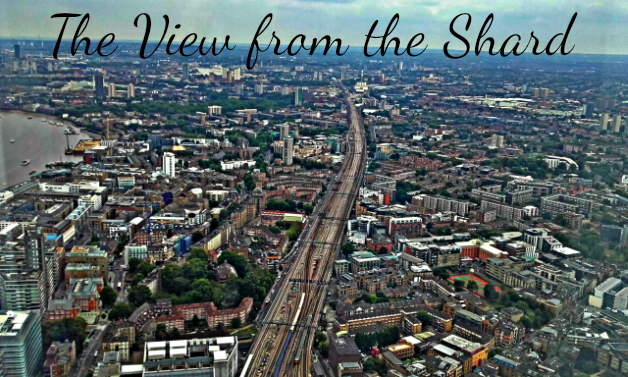 And If You Want To Escape London…. If you fancy escaping London for the day, why not explore Shakespeare’s birthplace and the place where he romanced his bride Anna Hathaway? This day trip to Stratford-upon-Avon and The Cotswolds explores the life of the legendary bard who penned Romeo and Juliet – an ideal date for a literary-loving other half. 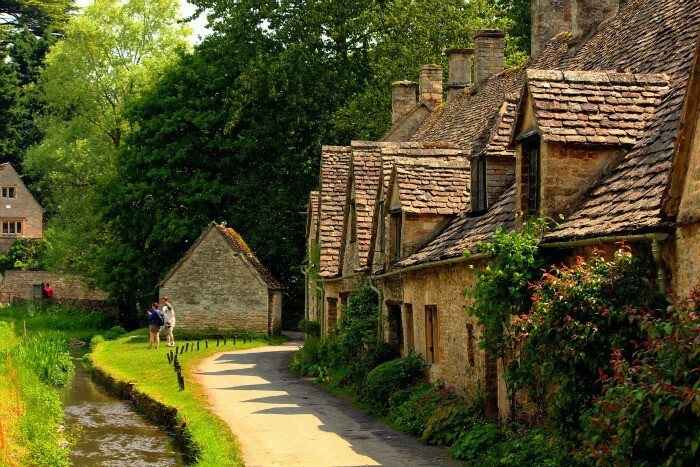 The tour also visits Cotswolds village Bibury (pictured below), which was another filming location for Bridget Jones’ Diary. If you’re still looking for something special to do this Valentine’s Day and want to woo your loved one with the iconic sights of London, book a trip on The Love Bus – a special sightseeing tour around London that includes chocolates, bucks fizz, a live singer and a single red rose – what could be more romantic? Browse our entire Valentine’s Day range here. What’s your most romantic place in London? Images from Davide D’Amico, Ewan Munro, Aurimas, Jez Nicholson, Ewan Munro, paultkeith and Musa Golec via Flickr. Where Should I Visit – Oxford or Cambridge?